TCM Nigeria is launching a project that would help individual promote their sales skill and also reward them for their selling through whatever bonus scheme an individual company offers. Or better put as share of reward. 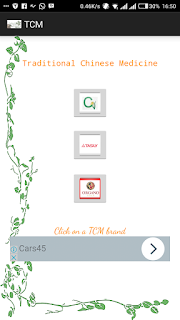 TCM Nigeria wants to collaborate with individual by providing app that compiles and give basic information about TCM products of different companies like TASLY, GREEN LIFE, FOEVER LIVING PRODUCT, GREEN WORLD, ORGANO-GOLD etc. series of post of each of the sales benefit is going to be discuss here in this blog for you to choose which of the app you want to download to sell. 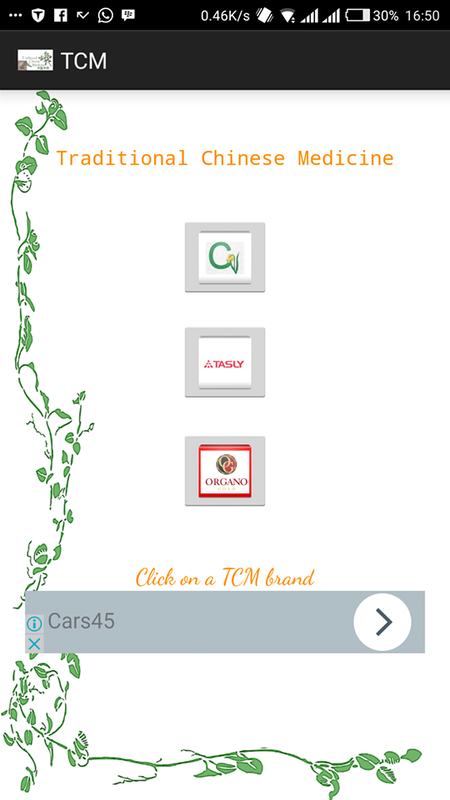 Go to google play store for android apps and download the TCM app for free and you get to choose the company (brand) you want to sales. You then go and sell any of the product you understand and then after closing a deal, you just through the app mail us the product, the price and address of where you are have sold and we shall deliver the product you sold to the customer. At the end of the sales, you would receive whatever profit margin you sold the product and the business volume (details of this would be discussed in later series) of what you’ve sold to get your reward from the company you choose at the end of the month. You can as well choose all of the TCM brand. When you register with the app project, receive your information and you get to possess the app. In the app you have a page that allows you get information about the client you are selling to. This helps you keep records of your clients and potential client. Then you have a page for diagnose which tells you possible product to administer to your clients based on their ailment. Then we have the sales page which tells you everything about a product. The price, the business volume. what it is made of, the dosage, who and who not to take it etc. 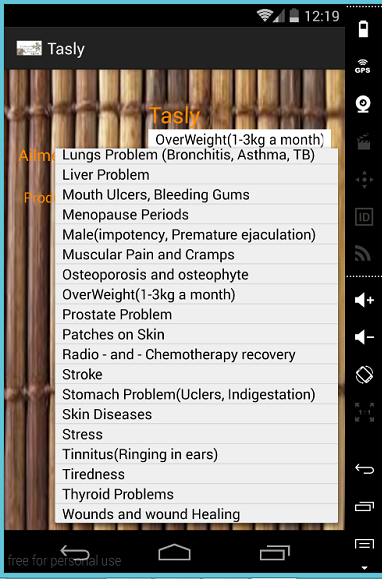 Then of cause we the report or summary page which tells you what you administer to your clients and the other TCM practices you recommended. These forms your real clients list. It is good practice to periodically check up on them if they are using their medicine religiously and others which would be discussed on the series of the app practice post. These page is different from client information page because it only tells you of prospective clients you may close later. We allow you work and live on retail profit until you’ve been able to sell the business volume of a starter pack then you would be registered and enrolled for a bonus. For every four product of the-same kind you sell, one out of the business volume of the product would be credited for our benefit while the rest belongs to you. After you have crossed the starter pack, you start receiving rewards monthly from your business volume as a residual income to your salary. Everyone can join. But you would do well if you have a phone that that can receive apps. 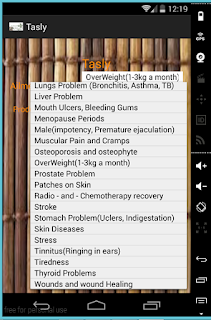 How to operate without the app, Just read this blog and study some of the topics like the topic on Ganoderma lucidum. Every Organo-gold product has the extra. You could tell the individual to order the product with the TCM all or you call TCM phone rep and the product would be credited to you while we bring the product to the individual. When you sell a starter pack, you start making monthly profit and you could buy a mobile phone to make your work easy. To rephrase this question. Is the TCM app only for app project sales subscribers or for everyone. The big answer is EVERYONE. There's is a motto of a barber shop I saw on a street that reads "Whether you like it or not, hair must grow." to explain this motto, they are circumstances that are sacrosanct. Even if you don't like it, you can fall sick and you need to make your orders ASAP. The app also keeps some of your secrets, how comfortable would it be for you to discuss your sexual performance or STD with another human being. And you could be sure that whoever TCM expert you talk to would protect your medical records. People really don't like links but if you don't mind, here is the link to the app TCM. Download is free.